The Japanese 18U National Team has been announced for the 18U Baseball World Cup in Taichung, Taiwan from August 30-September 8. 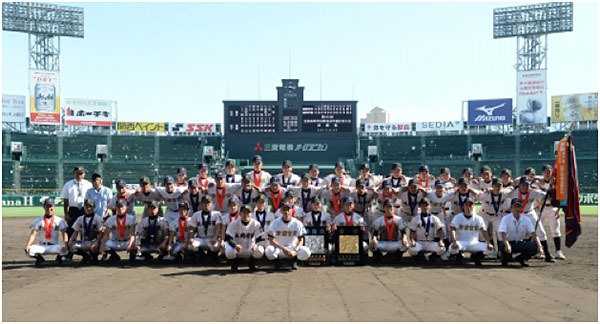 16 players out of the 20 roster are those who played at the 95th Japanese High School National Championship in Koshien which finished on August 22, 2013. The 2013 Championship by 49 regional winners coming out of 3,957 teams in Japan saw Maebashi Ikuei (Gunma Prefecture) won first place in their first competition. The aggregate total attendance for the 14-day tournament was 854,000, an increase of 45,000 over the last year. The 18U National Team will be managed by Osaka Toin High School head coach, Koichi Nishitani. He will be supported by coaches Muneki Nakai of Hachinohe Gakuin Kosei High School (Aomori) and Tatsuji Shimada of Kochi High School (Kochi). The team will assemble in Osaka on Sunday, August 25 to start practice, play 2 exhibition games against college teams before leaving for Taichung on Wednesday, August 28.